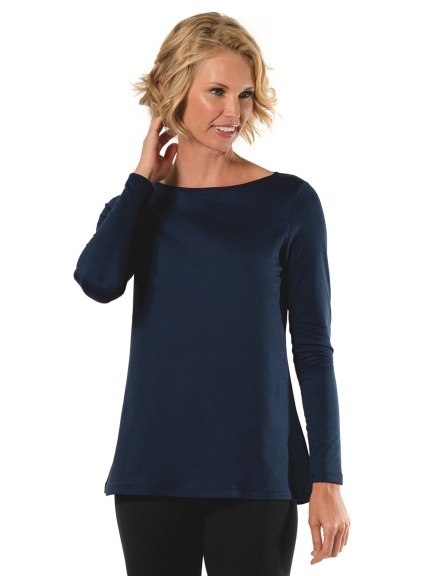 A long-sleeved top with a flattering boat-neckline falls into a slight A-line silhouette that is casual and comfortable. 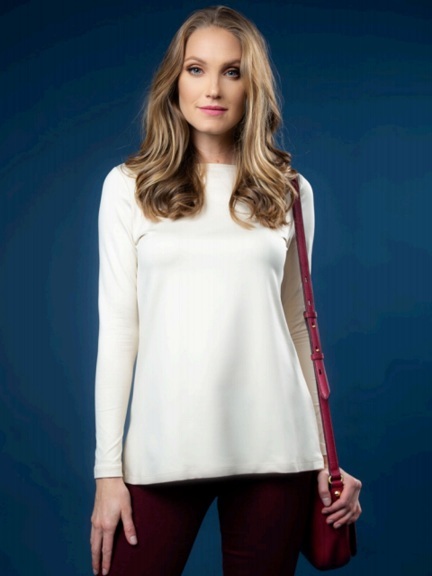 Made in the U.S.A of travel friendly fabric. The colors Amethyst, Azure, Ballet Slipper, Black, Caribbean, Coral, Cream, Daisy, Electric, French Blue, Kiwi, Navy, Passion Fruit, Pearl, Platinum, Pool, Poppy, Powder, Raspberry, Red, Rouge, Shimmercream, Slate, Smoke, Teal, Walnut, White & Wine are available in any out-of-stock size as a Special Order, estimated to ship on May 3rd for orders placed today.